In just a few weeks, ESPN analyst and legendary football coach Mack Brown, ACM award winning recording artist Jack Ingram and Academy Award®-winning actor Matthew McConaughey will team again April 16-17, 2015 to host their third annual Mack, Jack & McConaughey (MJ&M) event. The joint fundraising effort has made quite an impact over the last two years, generating more than $2 million for non-profits to empower children and enhance the quality of their lives in a number of ways. This interactive, philanthropic event full of music, golf, fashion, food and fun unites people in the community to make a real difference in children’s lives in Texas and beyond. “We’re here to raise money and have a great time,” said Jack Ingram who’s responsible for the initial idea of Mack, Jack & McConaughey. The artist was inspired by the annual charity golf tournament and concert previously put on by Willie Nelson, Ben Crenshaw and Darrell Royal that raised hundreds of thousands of dollars to benefit East Austin youth. Ingram recalled his father attending that event and experiencing pure joy. He wanted to recreate something similar and fun. ”It was focused on friends getting together and having concert. I wanted to bring back the spirit of that tournament,” said Ingram. The idea moved him to call long time friend Mack Brown around 1 a.m. one night. Brown also liked the notion and suggested bringing Matthew McConaughey on board. The three got together and talked over a couple of long lunches and beers before ultimately deciding what the organization would look like and how it would function. All of the men were separately involved with children’s charities, and it became clear that was their common denominator. As such, they decided funds raised from their collaborative efforts would continue serving children. Attendees can expect this year’s entertainment roster to top all previous. Opening night will kick off at Austin City Limits Live at Moody Theater with a beautifully curated gala, appearances by local star athletes from the University of Texas and a concert headlined by one of the most consistent self-directed songwriters and hit makers of his era: Toby Keith. To refresh your memory, Keith has been honored with the Nashville Songwriters Association International’s Songwriter/Artist of the Decade distinction, is a three-time BMI Country Songwriter/Artist of the Year and will be inducted into the Songwriter’s Hall of Fame in New York City on June 18, 2015. His albums have sold more than 40 million copies, and his tours have drawn more than one million fans each year for the last 14 years. Also performing on April 16th is Grammy Award-winning country group, Little Big Town, consisting of members Karen Fairchild, Phillip Sweet, Kimberly Schlapman and Jimi Westbrook. Collectively, this opening group has earned over 25 award show nominations and has taken home multiple awards including ACM Top New Vocal Group, CMA Single of the Year (“Pontoon”), CMA Vocal Group of the Year (2012, 2013, 2014), a Grammy Award for Best Country Group/Duo Performance (“Pontoon”) and an Emmy award. A live auction will also take place the same evening and tends to include items such as unique art, cars, motorcycles, memorabilia and experiential prizes such as exotic travel packages or the chance to attend a film premiere or movie set. The MJ&M fun continues Friday, April 17th with the Celebrity Classic Golf Tournament at Spanish Oaks Golf Club. This sporting event is great for those who enjoy the outdoors and playful competition. “There will be a chainsaw artist on-site, live music and food as well,” said Ingram. “We’ll have prizes for the winners as well as the losers.” Individuals who prefer to stay out of the heat may opt to attend the coinciding, once-in-a-lifetime fashion show chaired by model and designer, Camila Alves McConaughey. This year’s highlighted brand, MILLY (a collection of bold, advanced contemporary fashions with a feminine edge by designer Michelle Smith), will show at the W Hotel in collaboration with Neiman Marcus. 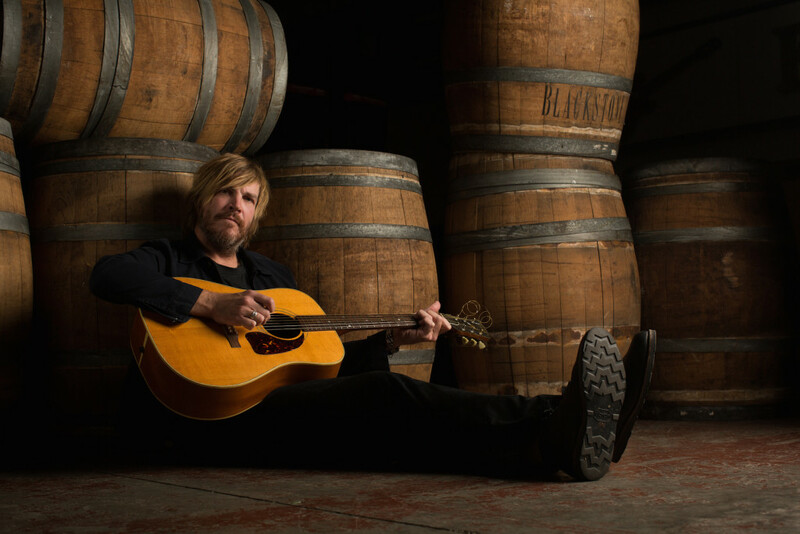 The evening entertainment concludes back at ACL Live at the Moody Theater with a Jack Ingram & Friends concert presented by H-E-B with Jimmy Kimmel featuring Willis Alan Ramsey, Holly Williams, Christopher Coleman and Butch Walker. In its first year, MJ&M raised around $996,000. In the second year, it surpassed $1 million. “It’s pretty amazing,” noted Ingram when asked about net fundraising amounts. “We didn’t know what to expect the first year. We did really well.” There is not really a monetary goal here. “We want to do better every year, but we’ll never scoff at any amount of money we receive because it’s all for the kids,” he noted. MJ&M impacts the lives of children throughout Texas, California, Louisiana and more than 23 countries around the world. Every year, the event supports select organizations that share the principals’ goal to empower kids. Funds raised through MJ&M in 2015 will support The Rise School of Austin, just keep livin foundation, HeartGift, CureDuchenne and Dell Children’s Medical Center of Central Texas. Children’s organizations interested in being considered as future beneficiaries can connect with MJ&M through their website. For tickets or more information, visit MackJackMcConaughey.org.